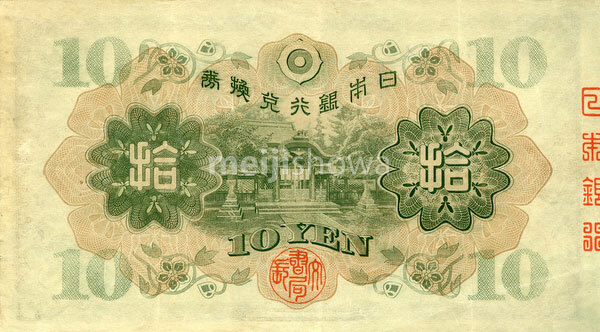 10 yen note reverse (丙10円券). For obverse, see 80107-0004. Size: 81 × 142 mm. Discontinued: March 31, 1946 (Showa 21).